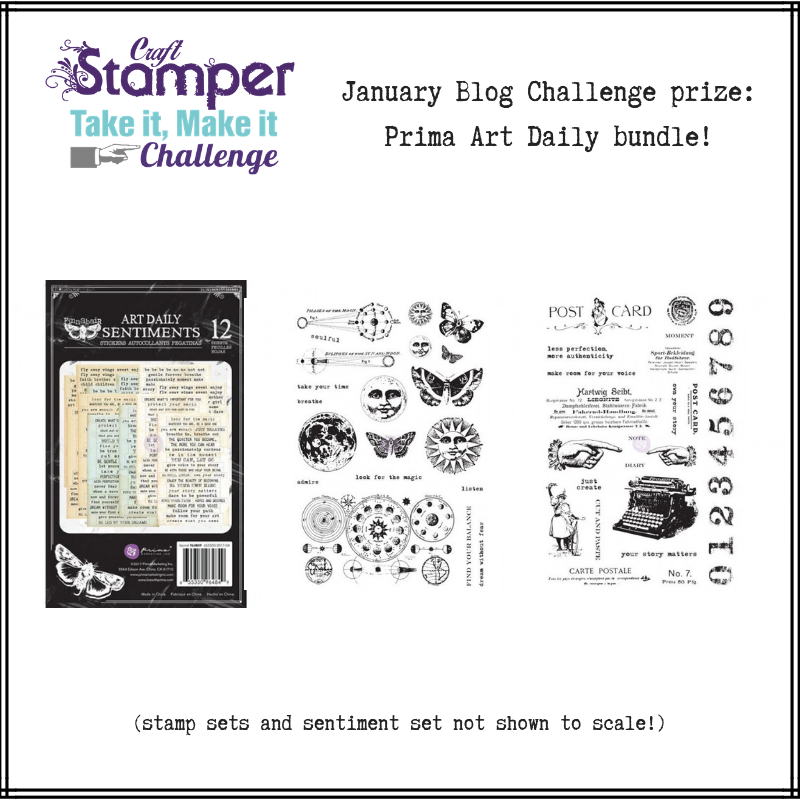 Craft Stamper Magazine: Take It Make It Challenge: January Winners! We are thrilled to announce the winners of our January challenge! Please accept our apologies for the late announcement, sometimes life just throws a spanner in the works! We loved this beautiful card by Mac Mabel! 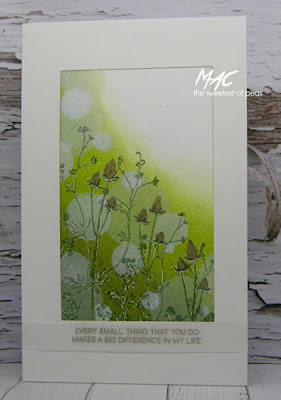 The images are just so delicate, the colour palette is simply beautiful and the Bokeh effect a wonderful touch! Mac Mabel will win a Guest Designer slot here on the blog, her very own Winner's Profile, and of course her amazing art will be featured in a two page spread in Craft Stamper magazine! Congratulations Mac Mabel! Our February challenge will be launched on the first Friday of February, the first. congratulations to the winners..but the random number said 45 and you have put in number 44. Hi Karin, I think that's just a typo - I'm Zsuzsa and 45 on the list - they just typed the wrong number, but got the name right. Congrats to the winners. I love the card of Mac Mabel. Delighted about the shout-out! And to find my card among those illustrious card makers! Thank you Ladies!!!! yay! Well done Mac and to the other winners - beautiful cards!